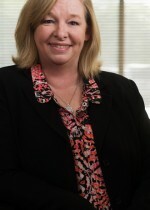 Birmingham, Ala.-based Warren Averett, LLC (FY12 net revenue of $111.6 million) announced that Sandra Coaker received the AICPAs Women to Watch – Established Leaders award on May 8 during the Alabama Society of CPAs annual Women’s Summit. The award is given to a woman who has made significant contributions to the accounting profession or who demonstrates characteristics that have enabled them to become leaders in the profession. Coaker joined Warren Averett in 2005 and is a leader within the firm’s outsourced services practice group. She has over 25 years of experience working with privately held companies in a broad range of industries including health care, hospitality and professional service firms. She specializes in providing business advisory, accounting and taxation services, and her experience as a CFO and as a practicing CPA qualify her to provide day-to-day financial and management advisory services to clients.